Israeli sources have reported, Sunday, that two Israelis were killed, and six others were wounded, in a drive-by shooting near the Light-Rail stop, close to the Police headquarters, in Jerusalem, and that the Palestinian, who carried out the shooting attack, was killed after a short pursuit. 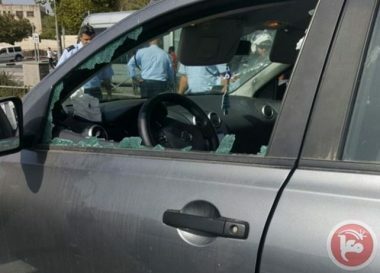 Israeli online daily Haaretz has reported that the Palestinian carried a drive-by shooting at the Ammunition Hill light rail stop, close to the main National Headquarters of the Jerusalem Police, and added that the Palestinian was killed after a short pursuit, after he wounded several persons. Haaretz added that two of the wounded Israelis, a police officer, 30, and a 60-year-old woman, later succumbed to their wounds. They have been identified as First Sgt. Yosef Kirme, 30, and a woman, identified as Levanah Malichi, 60. Two of the wounded Israelis, who were injured in the initial attack, suffered severe and moderate wounds, while a third also suffered a moderate wound shortly afterwards. The shooter fled to Sheikh Jarrah, in Jerusalem, and shot two police officers, critically wounding one and moderately injuring the other, while three Israelis were hurt by “shrapnel and shock,” Haaretz said. 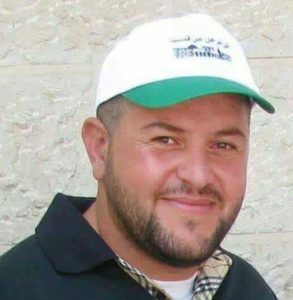 The Palestinian has been identified as Misbah Abu Sbeih, 39, from ar-Ram town, in Jerusalem. The names of the Israelis who were killed in the attack have not yet been released. 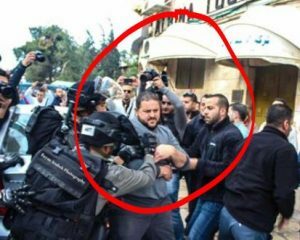 The Maan Palestinian News Agency said one of its reporters interviewed Abu Sbeih, Saturday, a day before he was supposed to turn himself in to the police to serve a four-month prison sentence, after he was convicted of “assaulting a police officer in Jerusalem’s Old City.” He was also denied from entering the Al-Aqsa Mosque, or its vicinity, for six months. 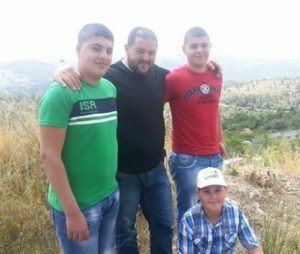 After killing him, the Israeli army stormed his home and kidnapped his three children, before taking them to an interrogation center.